Cancel 5 Days prior arrival date, charge 100%. ......and lots more for you to experience when you stay at The Hive. 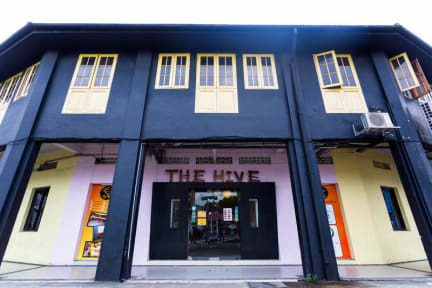 Established since December 2004, The Hive is one of the pioneer hostels in Singapore. We enjoyed a long history of providing our guests with affordable accommodation and excellent service. With such a rich history behind us, there is only one characteristic about us: CHANGE. The Hive is always improving to provide better for our guests and their feedbacks are our best testimonials. Located in the centre of Singapore, we are every reason a traveller should stay with us. Boon Keng MRT Station, which is just less than five minutes away from our hostel, has a direct train to most tourist attractions. We have a more welcoming atmosphere, a big communal lounge great for interaction, cable channels offering The Premier League, Champions League, F1, tennis - something the hotels are lacking. 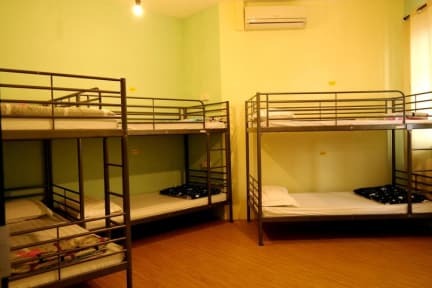 The Hive is also the place for a family/group stay-over. Call us directly to see what is the best arrangement for the best family/group vacation in Singapore. •Reception operates from 0800 to 2300 hrs. Check-in after 2300hrs is available but please inform us after booking. O hostel tem boas instalações. Eles têm armários mas não são lockers, portanto leve seu cadeado. Uma das meninas da recepção não é aquela simpatia mas ok.